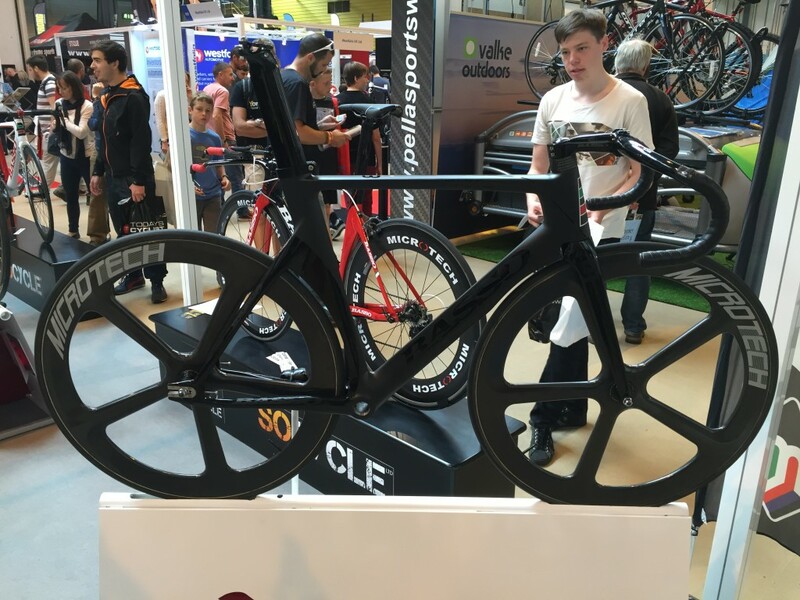 Yesterday was spent at The Cycle Show 2014, at the NEC in Birmingham, UK. 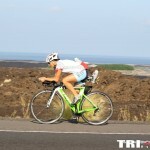 I went with a friend, thetrinerd, who was partially responsible for getting me in to the triathlon scene. 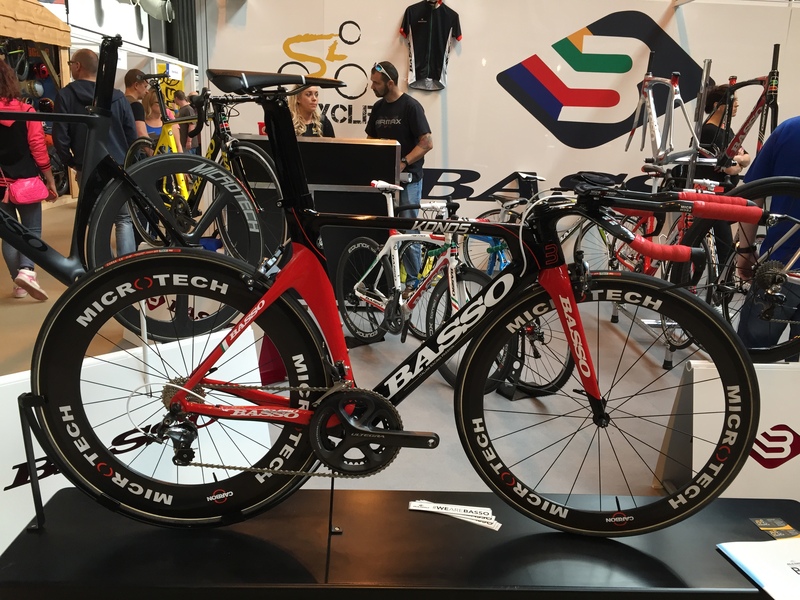 Having never been to a cycle show I wasn’t sure what to expect, especially from a triathlon point of view, but was pleasantly surprised. 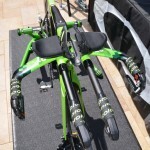 Notable manufacturer absentees for me were Specialized, (though they had a small Body Geometry stand), Scott, Cervelo, Fuji, Felt and Cannondale. So that should give some idea of what was there. 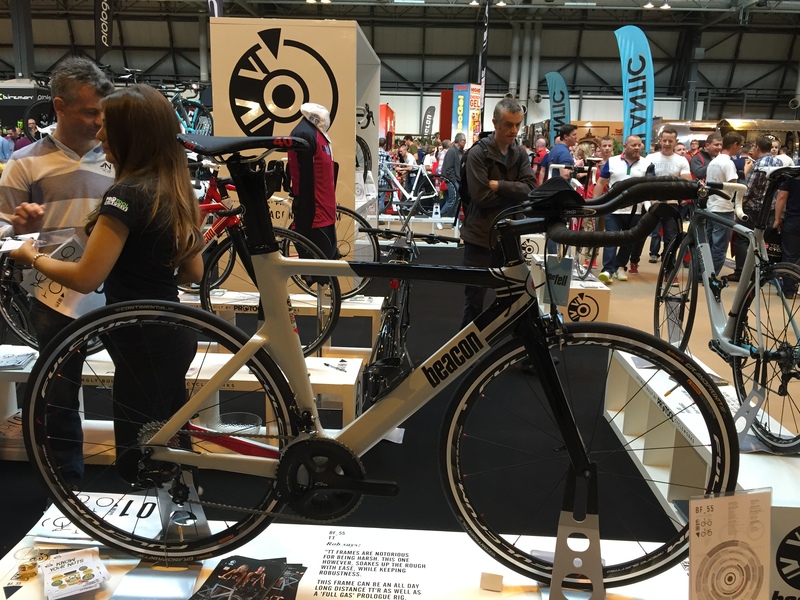 I asked the inevitable question about the Forerunner 920xt to the ‘Garmin’ stand but they knew nothing; this was probably more due to the fact that the stand was being manned by a local cycle company rather than Garmin themselves. One thing I was looking into was a turbo trainer; due to my current injuries I hoped it would allow we to get on the bike. Sadly having tried out a few it was clear that I was not in a good enough condition to use one. That said, anyone interested, the updated bkool trainer was on a show special at £275, which is a bit of a bargain. The updated software version looked a lot sharper than the original and the new unit was pretty quiet, although on a show day this isn’t the easiest thing to check. 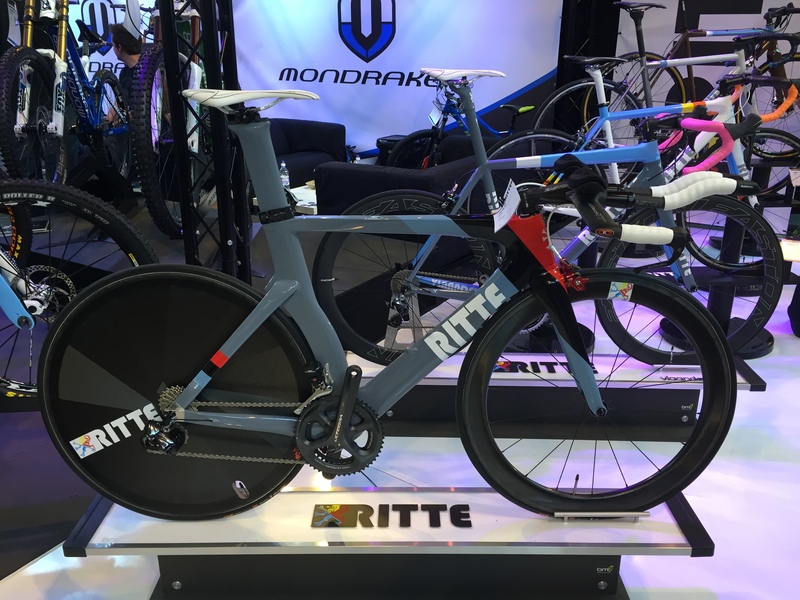 Elite announced that all of their current range will be retrofittable with a bluetooth unit to send real time power meter data back to their E-Training app for use with VR and video rides. Sadly they couldn’t give an indication of when this until would be available, or what the cost was but it appeared to be a simple bluetooth unit that attaches near the mag unit on the rear. 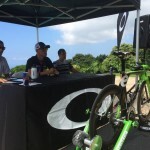 You’ll also be able to upload videos filmed on a phone (or other GPS enabled video machine) that can then be shared with others and used as videos to ride. 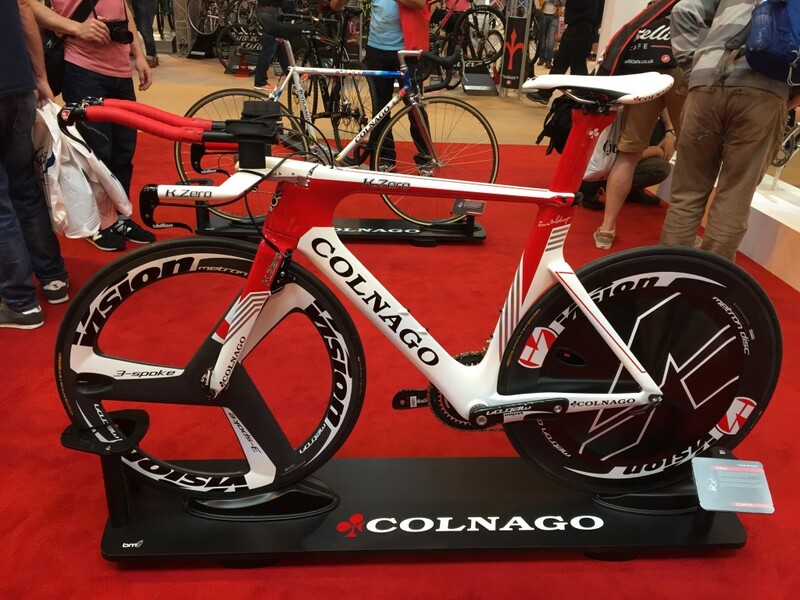 Prices ranged from £159 for the Novo Force to £1099 for the direct drive Real Turbo Muin. One thing of note was just how many companies selling and sampling energy and nutrition products were present. By about 11.30am I think I could have taken on the BMW jump course. It was clear that all of these are an acquired taste as the two of us had very varied tastes in what we could tolerate, let alone like! From my running days i’d got into liking SIS, but I was a little disappointed to discover that they use aspartame in some of their products i’ve been using so will be looking to replace those in my routine. Clif had a small stand but had plenty on display, their energy bars and blok were delicious as ever. 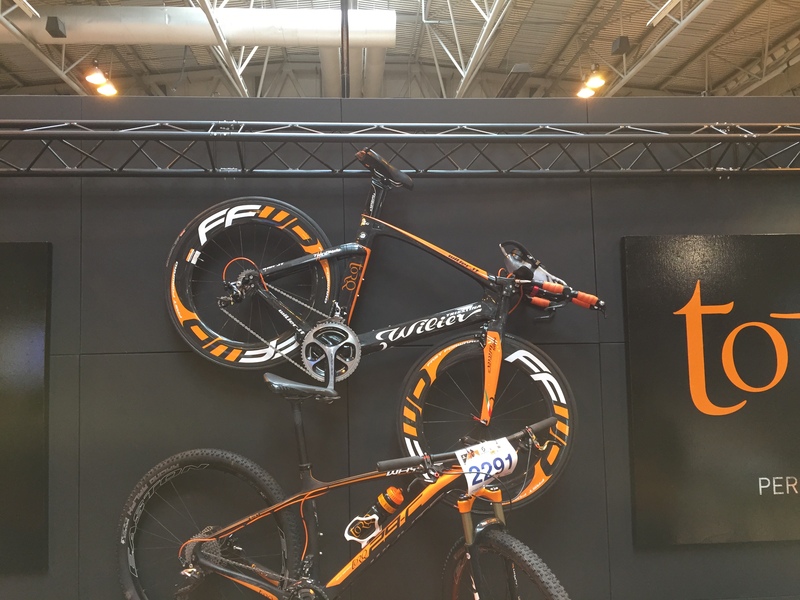 Torq stood out, probably because they had one of my dream bikes on display, the Wilier Twin Blade, but they had a great range of things to try. Their energy gels will be my next attempt in competition as the all natural ingredients appeal, Raspberry Ripple, Banoffee etc are all great words to be in a gel. Some were a little sickly sweet and might be difficult to keep down in a long run, hence wanting to try them, they may be fine on a bike mind. The drinks they had on display were, for me, disgusting, but were the biggest discrepancy as thetrinerd loved them. The protein recovery drinks were also a mixed bag, possibly due to the fact that I usually make mine with milk rather than water, Chocolate Mint had potential, but for now i’ll be sticking with MaxiNutrition. High5 and PowerBar were there also, but i’ve tried them before and not been a big fan though they were both offering good value show deals. ZipVit had some more pleasant bars but nothing really stood out too much for me, they don’t appear to be too readily available either. Finally Beet-It were another that stood out, i first discovered them at the London Marathon Expo and loved the taste of the energy bar, the drink is an acquired taste and i’ve no data on how well they work for me, but thankfully the prices seemed much lower – something that had put me off previously. TheTriNerd was on the look out for a new aero helmet but we ended up leaving empty handed as the main brand of interest, Kask, were’t on display. We looked at and tried on a few others but were generally quite appalled at the quality of some them, especially for the money they were asking. 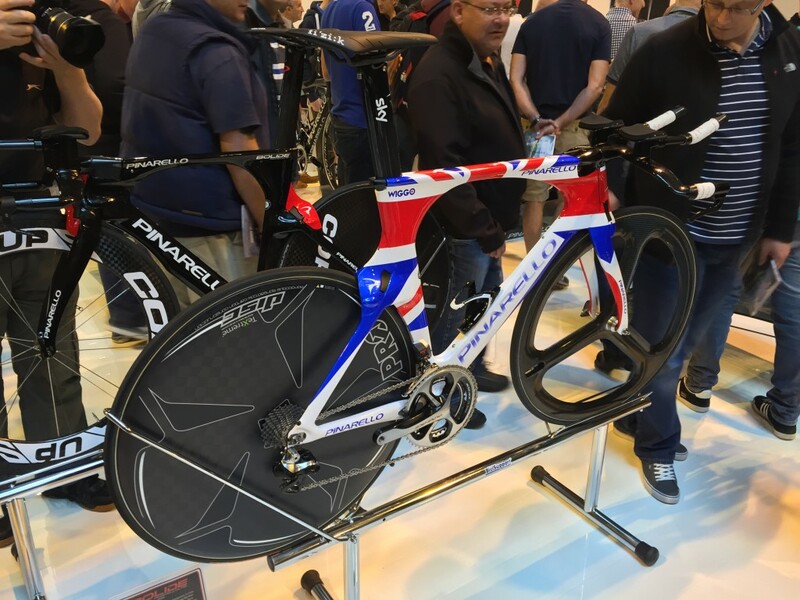 The bike that Sir Bradley Wiggins rode to the recent 2014 World Time Trial Championships, unsurprisingly this was a popular machine so getting a decent photo was rather difficult. 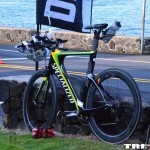 The updated version of that used by Leanda Cave in The Ironman World Championship 2012. It looked lovely, though the teeth styling were a little strange. 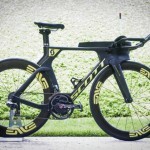 A bike I love, but the price always makes my eyes water. Seeing one in the flesh you can see the engineering that goes into it, but the eyes still water. 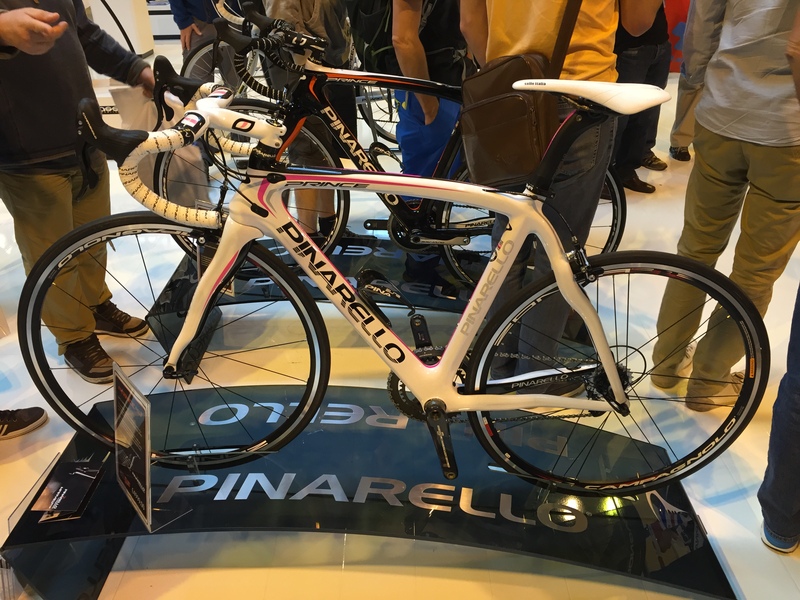 Priced at £5900 with SRAM Force gears and Bontrager Aura 5 it’s at the lower end of the scale. 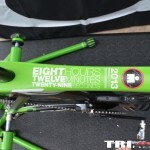 The Vitus Chrono TT appealed as it matches the colour scheme I’ve somehow ended up with. This particular one belongs to Robert-Jon McCarthy, riding for the An post Chain Reaction Cycling team, Chain Reaction Cycling being the owners of the Vitus brand and sole distributors in the UK. 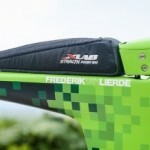 They’re competitively priced at £1799 for the frame. 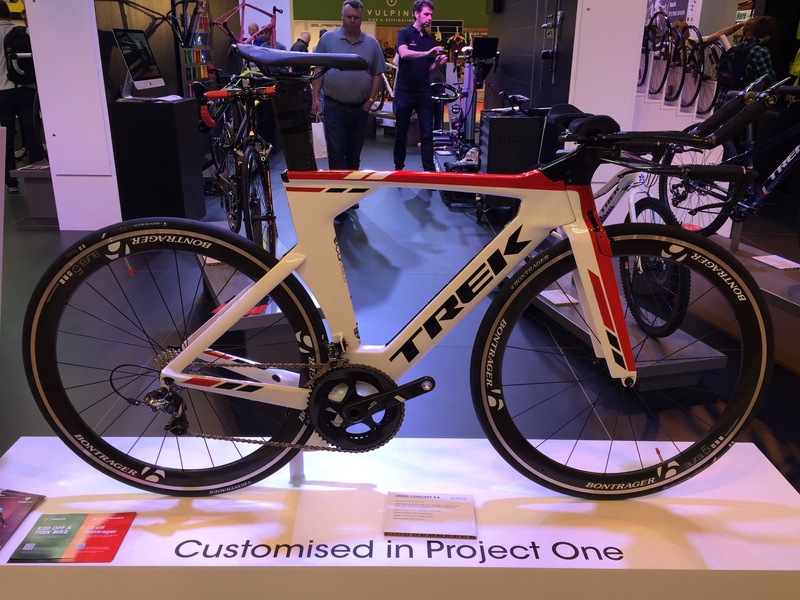 Chain Reaction Cycling said they’d be moving to frame only sales next year, I suggested they build in a configurator as there is nothing us bike folks like more than tinkering with configurations of bikes! Against some of the other brands, this looked particularly good value. 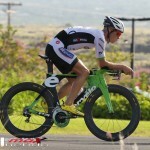 The Canadian brand are quite popular at Kona and I can see why from seeing one in the flesh. 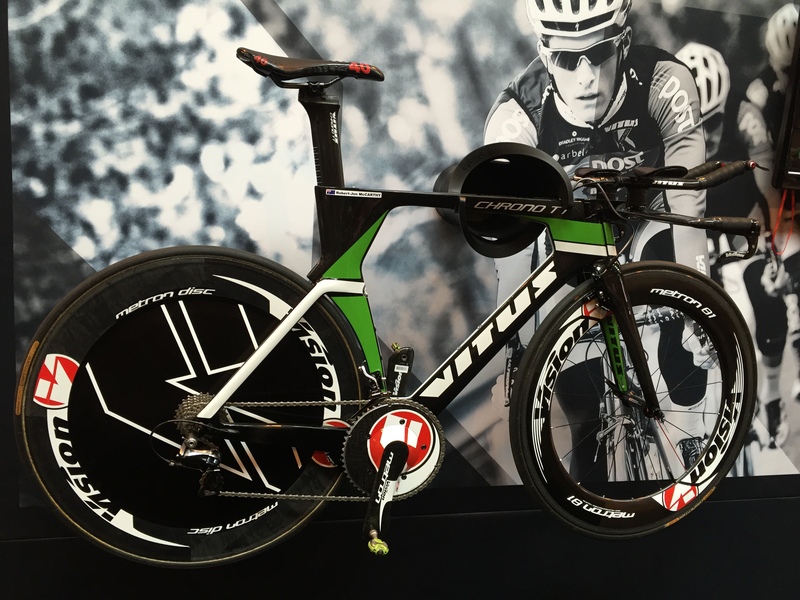 Ultegra Di2, Fulcrum Racing wheels as standard and from £4999 (this one had upgraded carbon wheels, Racing Quattro’s are standard). 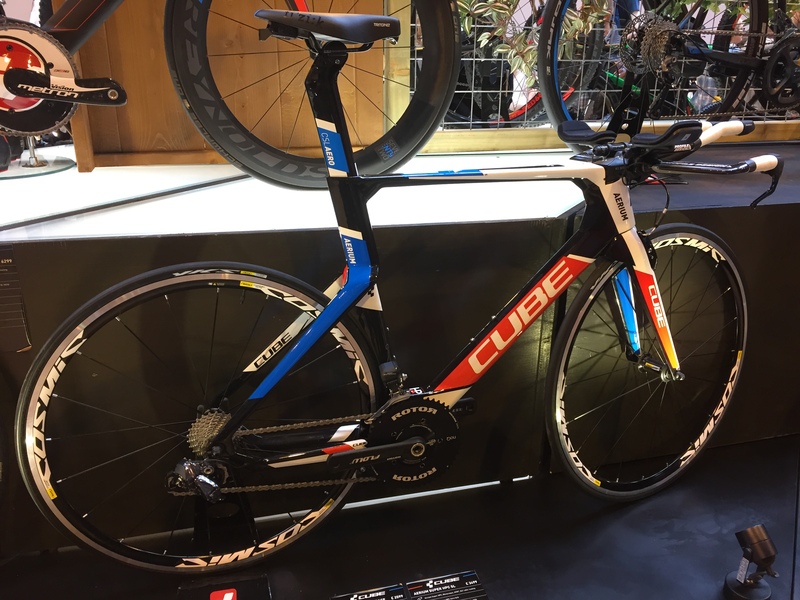 Two triathlon specific bikes from Cube, the Aerium HPC SLT is their flagship model, the SL the ‘cheaper’ sister. 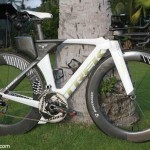 No brand loyalty exists for Cube, as you can see Mavic wheels, Rotor Q-rings and Ultegra Di2 on the SL. 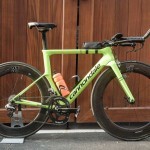 Reynolds Aero Carbon wheels, FSA Metron crank and Dura Ace Di2 on the SLT. 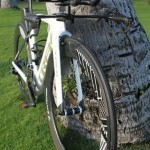 Prices from £3499 for the SL to £6999 for the SLT. 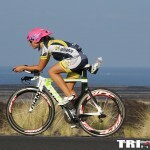 The official bike supplier of British Triathlon. 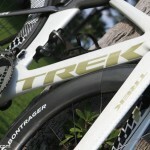 One of the things i love about Beaconfell is the configurator, who doesn’t love speccing their own bike!? 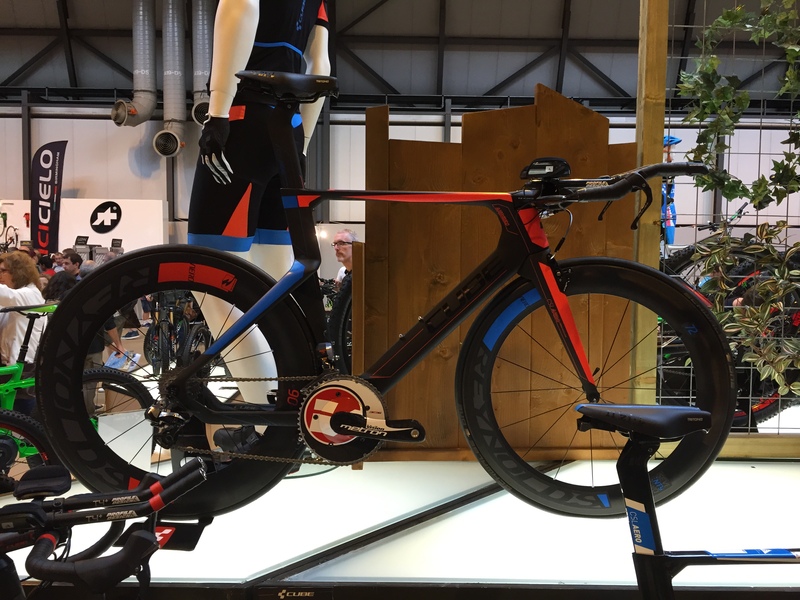 (Sadly you can’t see all of the wheel options :() The only triathlon bike on show was this, the BF-55. 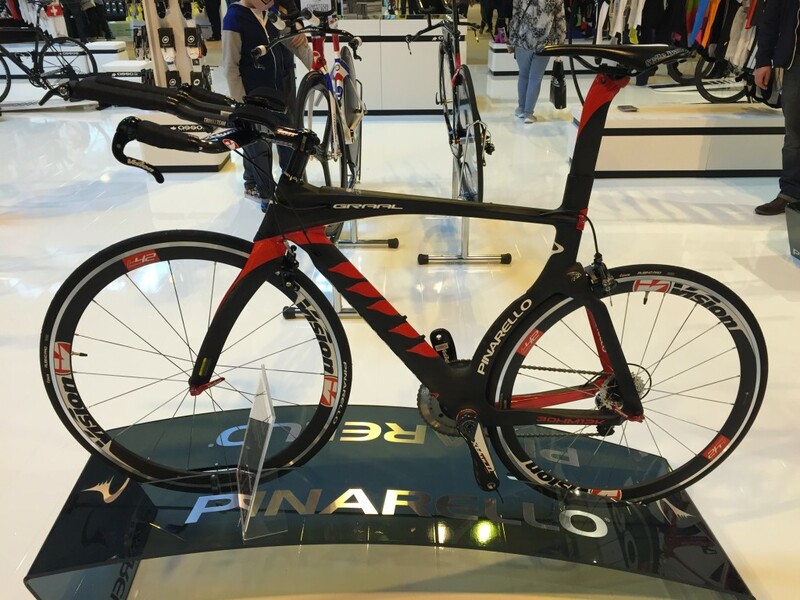 On display in a relatively entry level spec with Shimano 105 groupset and Fulcrum Racing Quattro wheels for £1999. 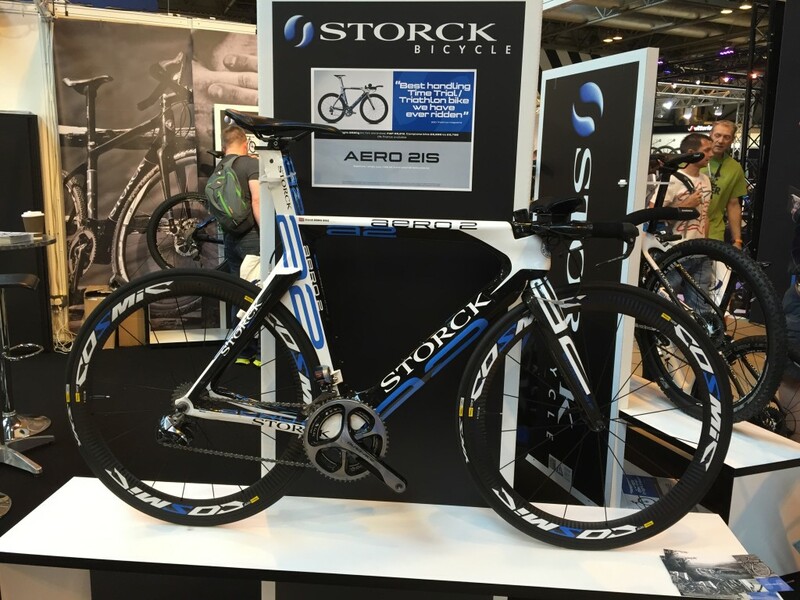 Entering in to the realm of silly money, the Storck Aero 2 IS starts at £8999. They do a ‘basic’ version from £5299 the sign lovingly stated. 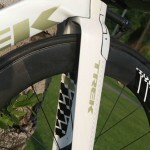 You do get Dura Ace Di2 and solid Mavic Cosmic wheels for your £9k. 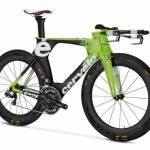 They do get a nod to the configurator, though it is fairly ‘basic’ (free mind, not just over 5 grand!) The bike gets great press reviews but up close and personal it looks like you’d need to be pretty flexible to ride it in the pictured spec! Not a brand I was familiar with before the show. The matte finished colours looked stunning in the flesh. Not many details available, even on their own website. 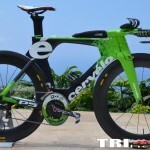 Not many details were shown, other than Ultegra Di2, no name wheels, but Easton for the bars. Back into the silly money realm, this one came in it a bargain £8999, but all things considered the complete Dura Ace Di2 setup is hardly cheap. Another Italian and another looker. 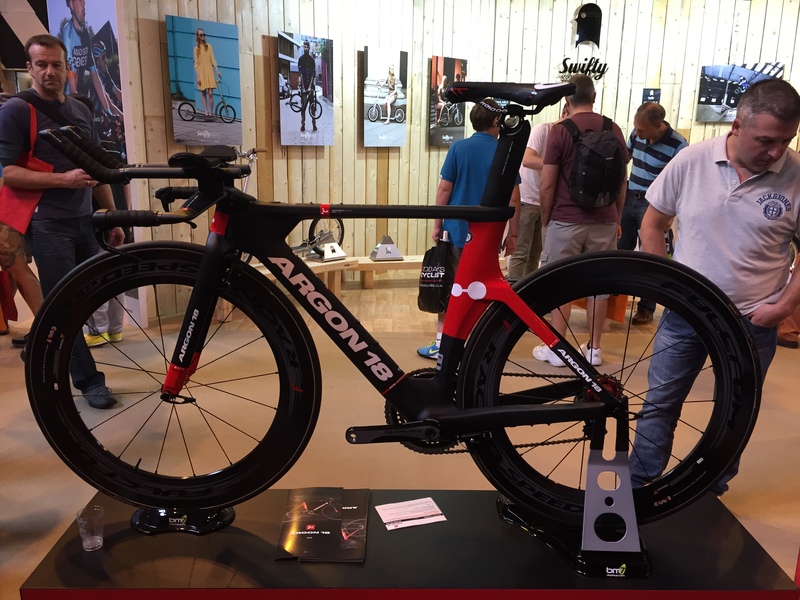 Very helpful of Vision to let us know how many spokes that front wheel has too, i’d have been wondering all day if they hadn’t written it on there. 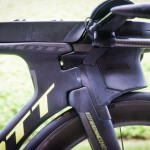 One thing that baffled me here is the TT bar shifter, it appears to resemble a brake more than a gear shifter and not a very comfortable one at that. Anyone know anything about it? 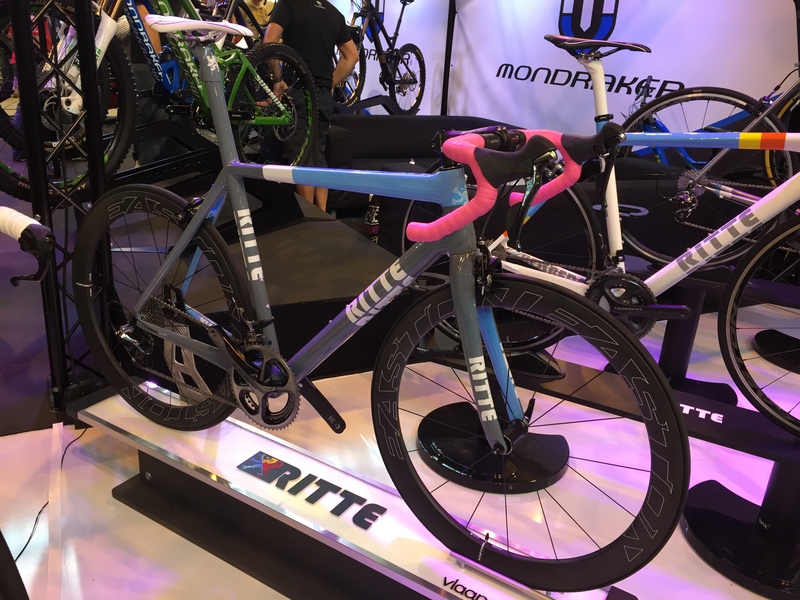 Another Ritte bike that stood out, unsurprisingly I figured my good lady would like the look of this…. Another one for the good lady… it’s actually pink, not red. Very odd forks, not sure what the benefit of wavy forks is supposed to be, but i trust Pinarello know more about that than me. It took a while to be able to get this photo as it was unsurprisingly a popular machine. 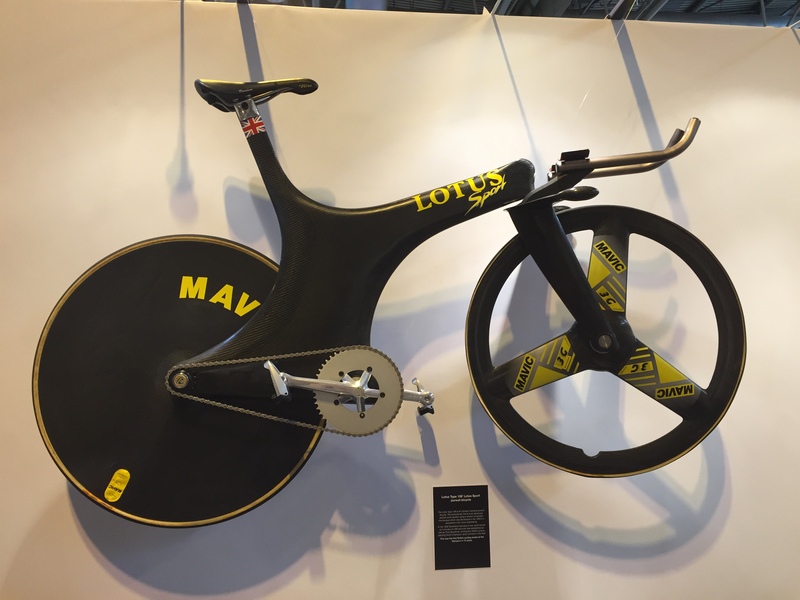 It still looked radical, even in the presence of all the other machinery, including the Air 9.8 as used by the Brownlee brothers. 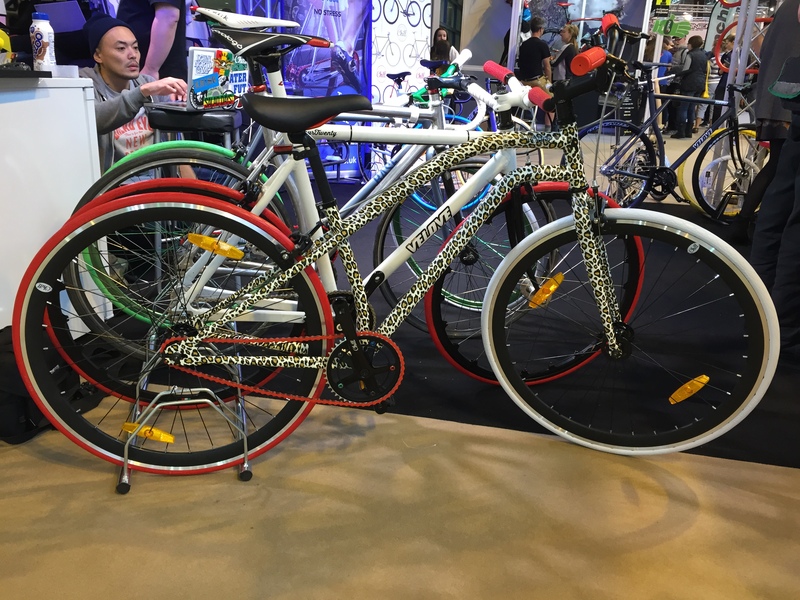 As a somewhat newbie to the world of cycling it was interesting to see the various choices a cyclist gets to make. 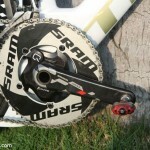 Of note for me was that despite both my current bikes having Shimano gears, I am now erring towards SRAM. 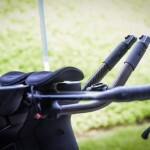 The Di2 shifters for both handlebars and bar ends felt a bit clunky and for people with larger hands, such as me, the bar end buttons in particular were difficult to accurately hit. As such SRAM it shall be going forward! Campagnolo might be worth a look but their normal bar shifters were far from ideal as the thumb shifter wasn’t in an ideal place for me. Overall I enjoyed the show, despite not being in a position to buy anything. I was a bit disappointed that a lot of the other brands weren’t there. Working for a company that exhibits at these large shows though, I appreciate the costs involved with being at the shows can be prohibitive, and a return on the cost can be hard to measure. If you’re not there though, no one gets to see what you’ve got. 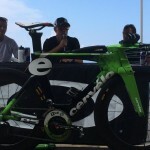 I was particularly keen on taking a closer look at the Cannonade Slice, Specialized Shiv and Scott Plasma but this will have to wait. 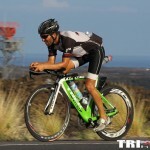 OFFICIAL PICTURES – taken from Garmin Canada. WARNING lots of them! 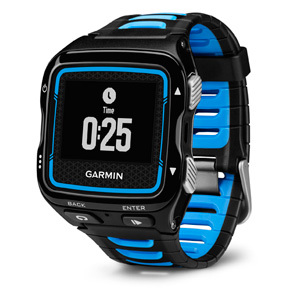 For those of us in the UK, it’s now on their site, Garmin Forerunner 920xt. Seems we have to wait until Q4 2014, which is well, vague as we’re in it now. I’d imagine, based on history that we’re looking at November at the earliest. Here’s hoping we don’t end up with another Sweatshop monopoly on it. Amazon are also now showing it, with stock available from 3rd party suppliers. They have updated my order to state that it will arrive between 18th December and 14th January – which isn’t exactly useful! Enabling link up to mobile phones for data transfer such as workouts completed and training/route schedules, firmware updates, smartphone notifications (such as incoming call alerts, text messages) and finally smart satellite tracking. The WiFi is used to download satellite data but equally automagically upload your run/ride/swim data when you get back (assuming you’re in sight of a registered wifi network). Note that the watch doesn’t support Bluetooth Smart Sensors. Still not sure why they do that, but hey. 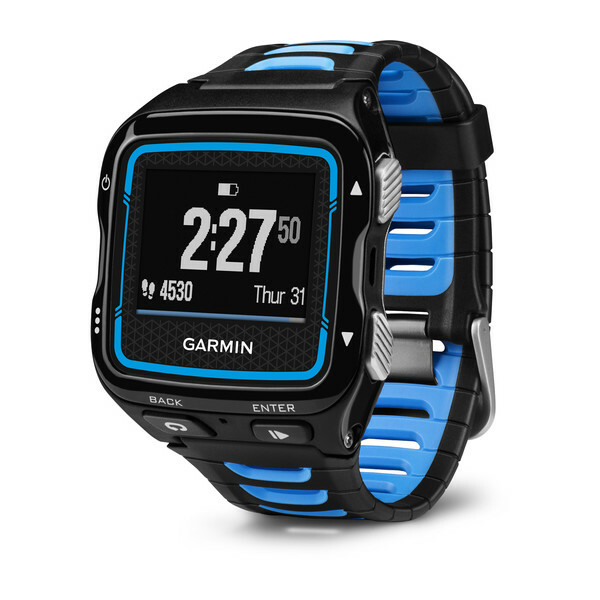 Similar to the other Garmin fitness units, such as the VivoFit, it’ll monitor steps taken, goals, distances, calories etc. This will, one assumes, link back to Apple Healthkit, although at this time Garmin Connect and HealthKit aren’t exactly best friends in my experience! 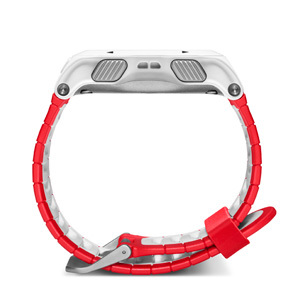 Handy if you’re heading off on a long ride or run on your own and assuming that you’re happy to take your phone along as it requires the bluetooth connection it. For cyclists I can see the benefit of this, for runners it’s more of a personal preference thing but I don’t like lugging my iPhone along with me. Basically, it broadcasts your location to a webpage that you can give viewing permission to selected people. I quite like this on the Forerunner 620 and Edge 1000, particularly when you’re using the different activity profiles; race, training, walking etc and it changes the colour outline to dictate this. 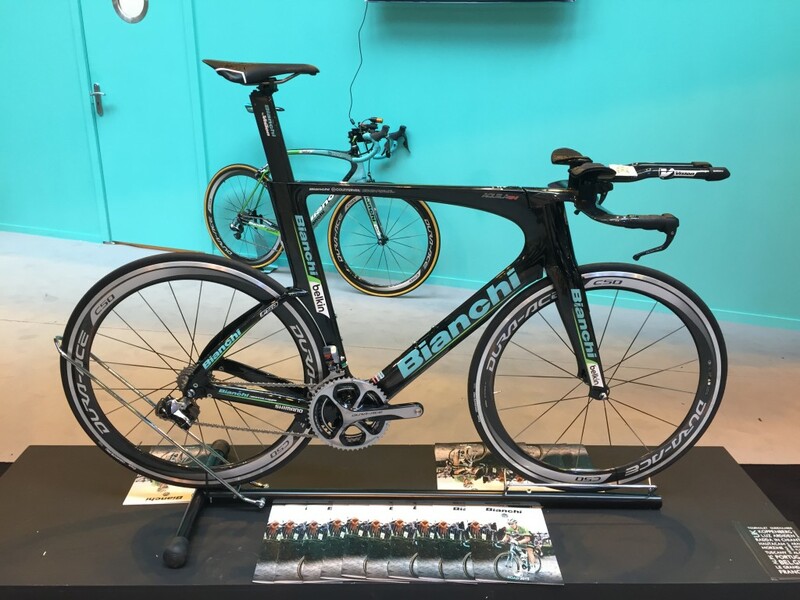 The main features are Vertical Oscillation, Ground Contact Time, Cadence, Recovery Time, Race Predictor and Personal Records. 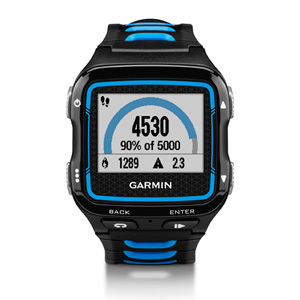 Again a feature from the Forerunner 620, you can use pre-defined training plans from Garmin Connect that tell you what to do, how hard and when – either by Heart Rate or per mile (or kilometre if that’s your bag) pacing. You can also create your own training plans and synchronise them to the watch so it’ll nag you into doing something when you’re actually supposed to. You can also use the Virtual Racer, again as per the Forerunner 620 but apparently enhanced here which is a good job as i used this precisely once and then moved on. Basically you can race/train against a pacing session that you’ve done in the past or in the new bit, upload any session from anyone and train against that. I asked about it and nobody knew but a few folks guessed, it seems it does as a metronome does, in that it kicks out a beat for you to aim your cadence against. Not sure how useful it’ll be but lets not criticise evolution!! Also, again as per the Forerunner 620, you can use it indoors without a footpod. In my experience this is accurate enough for the casual user but not accurate enough if it’s really important to you. 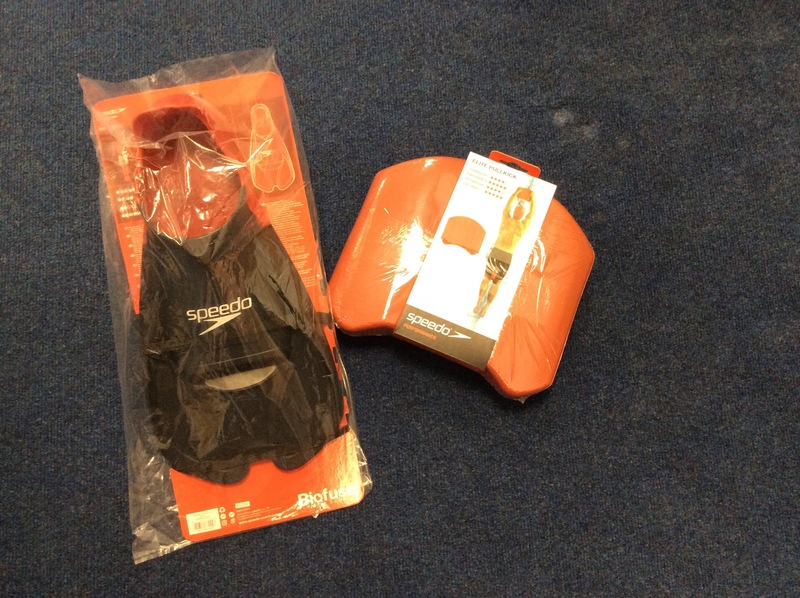 Thankfully you can use the footpad if you’ve still got one…. Battery life is listed at 24 hours using per second tracking, but this can be increased using ‘UltraTrac’ which offers up to 40 hours using less frequent tracking. In Ultratrac it still records ANT+ stuff at the same 1 second interval, which is a nice touch. GLONASS which was introduced in the Edge 1000 basically gives more accuracy when using GPS in dodgy coverage areas. You can also use the much missed features in a number of other devices, the ‘Back to the Start’. It’s not a full navigation system but will point an arrow in the general direction and off you go. Possibly more usefully for a trekking process is that you can pre load waypoints and navigate towards them in a similar fashion. 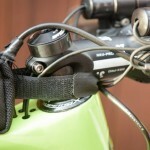 Probably only useful when you’re on the bike, but as per the Edge 1000 you can control the VIRB action camera. 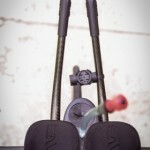 A bit of a gimmick for me as I already have the Edge 1000 but it could be useful for others. 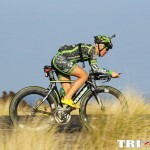 Garmin Connect is finally becoming a triathlon friendly place too, rather than uploading the three separate disciplines as individual activities, it can now be shown as a triathlon. So it looks as though there isn’t too much revolutionary material here, but we have a built in daily fitness tracker. 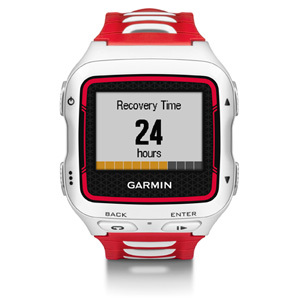 The recovery advisor is present as per the recent FR620 and Fenix2. 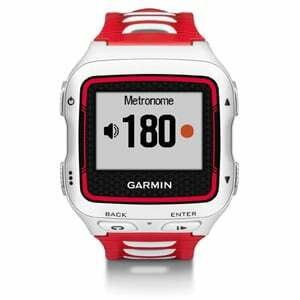 Garmin Forerunner 920xt – Red/White. Recovery Advisor. I’ll admit I have little idea what a metronome is going to be used for, i’d assume it’s some sort of swimming feature to keep your tempo up, or maybe it could be used for cadence in other disciplines? It doesn’t look too chunky, which is a good thing. I’d put off getting the Fenix 2 as it looked huge. It appears that Garmin have extended the VO2 max calculation first launched in the Forerunner 620 and used in conjunction with the HRM-Run. 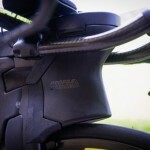 This shows it working on the bike so we must assume it is present in the running to. Will we see it for swimming yet – highly unlikely but we can but dream. It also appears that we can use this watch as a, err, watch! 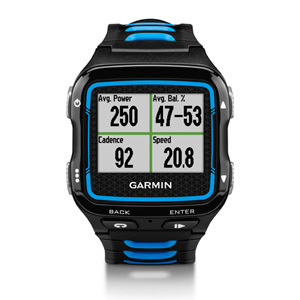 A bit more info coming to light, Garmin Canada appear to be showing a reference to it, good news, it’s been confirmed as a wearable device – Forerunner 920xt. 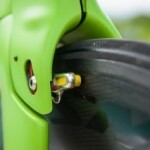 It seems it has a product code of 137024 and a part number of 010-01174-00, for all the good that does at the moment. This means it’s a fairly safe bet that those folks in Canada will be able to keep an eye on this page. It seems that the Forerunner 920xt may be more imminent than some thought, RoadRunnerSports (USA) are advertising it as available from October 5th priced at $499 with the HRM-Run. here’s hoping that it is the same strap that came with the FR620 and Fenix 2. I guess that means £379 in the UK. 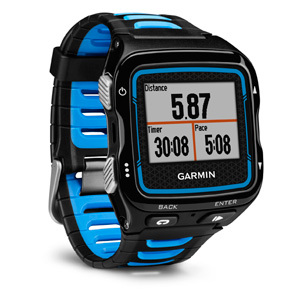 As hoped it seems to offer all of the advanced metrics of the Foreunner 620/Fenix 2 but in a smaller unit. 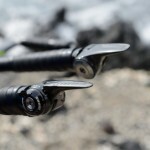 I’ve tried a couple of times to contact Garmin UK to ask for confirmation on dates but have no news as yet. I’ll update this thread as and when I know more! Many rumours circulating about this little baby, logic assuming that it’ll be called the Garmin Forerunner 920xt, if their naming pattern continues. I’ve been using the Garmin Forerunner 620 as my main running watch since it was launched and I love the extra detail over some of their earlier units. 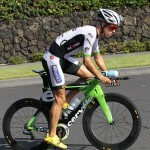 As i’m new to triathlon i’ve been thinking for a while about getting a multi sport watch. 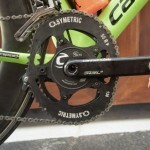 I already have an Garmin Edge 1000 cycle computer and the above mentioned FR620, and given that my biggest area of concern is the swimming, I figured that I either need a Garmin Swim, or look at a multi-sport watch. I’m very aware that there are other brands on the market from Suunto, Polar etc but i am quite in bed with the Garmin ecosystem so plan to stay there. I’ve considered the Fenix 2 but having seen them on a few folks, they look huge – i’d have genuine concerns about getting a wetsuit off with one of those on my wrist! Here’s hoping the 920xt is thinner and a better form factor than the current 910xt. 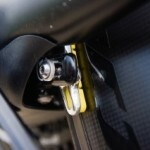 I’d also like to see them retain the quick release element as this seems to be a large area of concern for a lot of people. They’d be mad to exclude Bluetooth Smart for connectivity too and as a result of this i’m sure it’ll have all the Live Track features that go with it. Having used a few Garmin devices in my time, the hot satellite link is a must too, the FR620 gets a satellite link in seconds, as opposed to minutes for the FR10 i used to use. It seems that the 920xt has been confirmed (and then quickly removed) by Garmin, but thanks to the powers of Google, you can at least get some proof of it here.